Rosanne (Giallonardo) Simunovic began her musical career in Timmins, Ontario. She studied piano with Anne Pizzale and later, at an advanced level, with Soeur Anita Vaugeois (Sister Cecile of Les Soeurs De L’Assomption in Timmins). Her vocal and accompaniment skills were nurtured by her aunt, the late Dorothea Mascioli. When Rosanne graduated from O’Gorman High School, she moved on to the University of Toronto where she continued her piano and vocal studies while attaining a Bachelor of Arts Degree. She was hired as a piano accompanist for several musical companies, most notably, the National Ballet Of Canada. She presently holds an A.R.C.T. Teacher’s Diploma in Voice from the Royal Conservatory of Music in Toronto. Rosanne has studied choral conducting with numerous well known Canadian Conductors, including Wayne Riddell of Montreal, Quebec and the internationally renowned Dr. Elmer Iseler. She has been a founding member of numerous community-based arts organizations: the Timmins Arts Council, later known as Arts & Culture Timmins, the Timmins Symphony Orchestra, and, the Timmins Youth Singers…as well as the TYS Alumnus choir, the Timmins Concert Singers. In 1987, she was also selected to be the conductor of the Timmins Board Of Education Choir, comprised of talented students from Grades 5 to 8. In 1988, she was elected to the Board Of Directors of the Ontario Choral Federation (now known as Choirs Ontario), where she served as Chair of the Festivals Committee for six consecutive seasons. In 1996, in honour of the Ontario Choral Federation’s 25th Anniversary, Rosanne was selected as one of 25 recipients of the OCF’s Distinguished Service Award for outstanding contribution to the choral art. The ceremony was presided by Lieutenant Governor, Hal Jackman. In November 1997, Rosanne Simunovic was selected by the Rotary Club Of Timmins to receive the prestigious Paul Harris Award for her years of dedication to the artistic development of young musical talent in Timmins. In August of 2002, Rosanne Simunovic was selected by the Board Of Directors of Choirs Ontario to serve as Conductor of both the Provincial Junior and Teen Choir Camps, now renamed in honour of the Camp Benefactors, Don and Lillian Wright. 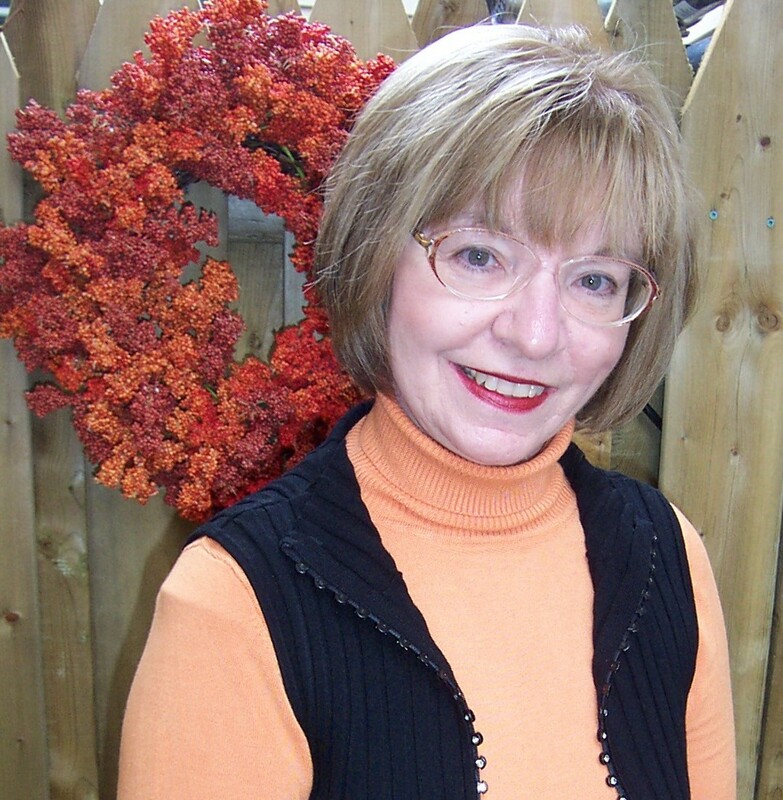 In November 2002, Rosanne was the one of the recipients of the Commemorative Medal for the Golden Jubilee of Queen Elizabeth II, honouring her work in the development of the arts in Timmins. Under Rosanne Simunovic’s direction, the Timmins Youth Singers and the Timmins Concert Singers have been featured in numerous choral festivals and performing opportunities outside of Timmins. In 1985, they were selected to participate in the Canadian Premiere of Andrew Lloyd Webber’s “Requiem”. In 1993, they were invited to sing at the International Choral Festival in Toronto and, as well, were asked to perform the Canadian and American national anthems at the opening of the Toronto Blue Jays/Boston Red Sox series at the Toronto Skydome. Both performances received outstanding reviews and, from this performance, celebrated conductor Howard Cable issued an invitation to Rosanne Simunovic and the Timmins Youth Singers to perform at his Christmas Concert with the Scarborough Philharmonic in Toronto in 1998. Rosanne has produced three successful CDS with the Timmins Youth Singers and the Timmins Concert Singers. In 1994, the Timmins Youth Singers recorded “I Remember December” with Patricia O’Callaghan and Kevin Closs; in October 2000, the Timmins Concert Singers released “A Christmas Legacy”, a 1999 live recording of their Christmas concert highlighting the music of Howard Cable; in May 2001 the Timmins Youth Singers and the Timmins Concert Singers released their double disc anthology CD, “Scenes From A Dream”, featuring Gregory Cross, Paul Massel, Patricia O’Callaghan, Henry Ingram, The Essentials, Greg Bond and Larry Herbert. Under her supervision and guidance, Rosanne Simunovic has witnessed over 40 singers achieve membership in the Ontario Youth Choir between 1978 and 2001; in addition, three have gone on to attain placement in the National Youth Choir. In addition, many of Rosanne Simunovic’s private students have gone on to establish exciting artistic careers in music performance or music education, winning additional provincial and national recognition in solo and choral achievement. Most recently, Rosanne’s Vocal Masterclass articles for American Idol and Canadian Idol have been published on American Idol Affiliate websites, Foxes On Idol.Com, BeaverOnIdol.Com and Reality News Online.Com and Music Reviews Online. As a result of this exposure, the articles have achieved impressive media attention from international journalists and American and Canadian Idol fans and affiliates looking for new and refreshing ideas on the judging process of American and Canadian Idol contestants. Her alter ego, Masterclass Lady, emerged through the various message boards, probably because it was easier to remember than Rosanne’s last name! Whatever the reason, it works! Your comments are most welcome and appreciated! Therefore, in an effort to further expand MasterclassLady.Com, please feel free to contact me with suggestions as to how I can improve your MCL blogging experience. When you leave your message in the comments box below, rest assured that your message will be mailed directly to me. Any suggestions that I do decide to use will be credited to the originator of the idea – YOU! Thank you for your kind comments. I look forward to further discussion with you and all the readers during American Idol season 6. I somehow stumbled across your American Idol articles during last season and went back and read all of your comments from the previous seasons. It was very interesting to read about the little nuances you described for each contestant and got me to understand more about vocal technique. I look forward to hearing what you have to say this year. Thanks again Jesse. I look forward to seeing what this season will produce. I am disappointed that Bailee Brown, Brian Miller and Tom Lowe, to name a few, were dismissed from the Top 24. They were excellent. I’m not writing AI recaps for BOI this season, but I am still faithfully following the show and your critiques. In fact, I’ve been posting them every week on the boards at idolforums.com along with a link to your site. I’m finding a lot of people who really enjoy what you have to say over there. I just wanted to let you know I was still reading and spreading the gospel of Masterclass Lady. I was wondering about your recaps. That’s too bad. I am going to miss them and I sure numerous readers will as well. Thanks for supporting me and spreading the word about the Masterclass articles. I am over at Idolforums quite regularly – didn’t know that was you adding my articles. hey rosanne, it’s ryan! i am so glad to have a teacher like you! You found me! Yea! Are you practicing? hahaha. By the way, I received great feedback about you after the recital. Great work. My Thursday afternoons are tres boring without your presence. Hope you are enjoying the heat. School’s almost done, so hang tough.